You can choose from a number of sessions and set your purpose for receiving Reiki in the form below. All sessions contribute to the overall health benefit for your mind, body and soul. For relaxation harmony and balance to reclaim your health and wellbeing. Length of this session can be for any time duration. Helps remove bodily aches and pains and releases stress from the body. Length of this session can be for any time duration. Brings you divine love, youth and beauty into your life, connecting you the magnificence that you are. You feel a sense of balance, clarity, inner joy, love for yourself, for others, and for life. Length of this session can be for any time duration. Brings balance and harmony to the body's immune system and for your mind and body to reclaim health and wellbeing. It allows the divine flow of universal energy to all chakras in your body and removes any blockages and stuck/stagnant energy. Length of this session is for 30 mins - 1 hour duration. A powerful session to dissolve shock, trauma and anxiety, removes emotional stress. It works on the cellular memory to start the process to reset old patterns, past programs and negative patterns from conception to birth, operating within the cellular level right up to your present age. It is perfect for people with addictions and deep rooted habits. It is healing at a much deeper level of the sub-conscious and brings divine source of balance, harmony and inner peace. It is recommended to get an initial 2 hour transformational session and an hour follow up session there after for it to work wonders. It is the best way to experience Reiki for the most blissful and complete transformational experience. *Please note: Every session includes free Reiki Level 1 Energy Booster. For all your questions like - How long are the sessions and what is involved in the Reiki Session. Please visit our FAQs page. Reiki is a safe, gentle and highly effective natural energy therapy. Assists on all levels: physical, emotional, mental; spiritually supporting the body's own ability to heal itself. Promotes relaxation and improves circulation for health, well being, bringing balance and grounding to the body. Increases circulation to gently stimulate the release of toxins. Relieves body aches, pains and sprains to muscles and bones. Improves flexibility in joints, muscles and the connective tissue. Actively assists in the healing process of blocked energy, chronic fatigue, everything from colds, flues, headaches to relieving painful arthritis, bruises and bumps. 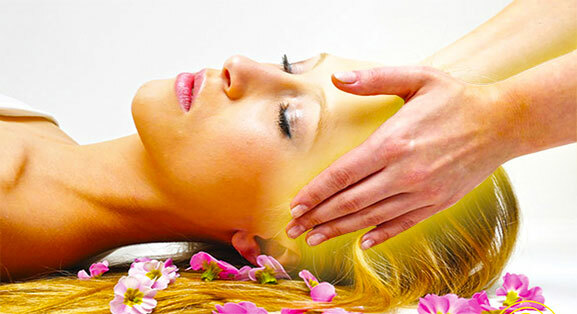 Reiki is a wonderful healing energy which treats migraines, stress and constant headaches. It dissolves the cause and symptoms of dis-ease, it treats the feeling of sadness, dispair, emotional stress, depression, panic and anxiety. As you relax in the Reiki energy the body rejuvenates, regenerates to bring peace and tranquility to your mind. Creating calm and clarity of mind, giving a sense of healing and deep inner peace on all levels of your being and consciousness. Reiki brightens and shines the light in your eyes and heart, bringing clarity and happiness in all you do! It connects you to your higher-self, your god-self. It brings the divine love, youth and beauty into your life, connecting you the magnificence that you are. The benefits of the healing energy of Reiki are cumulative, free from side-effects and it is complimentary and compatible with traditional medical or wholistic therapy to enhance and quicken the healing results. Reiki Healing Energy Boosts and balances life force and vital energy through all energy centres of your body which is essential to all various activities of daily living and feels absolutely wonderful!. Fill out the form below to receive a Reiki Treatment from shaizy. For corporate enquiries, please email here. Thank you for submitting the form. I will get back to you shortly, to confirm the date and time for the booking. Shaizy is a QUAlified 7th Degree Reiki Practitioner and has completed her course in the Original 7 Level Reiki system by Dez Dalton, Reiki Empowerment Seminars, from 2011 - 2018.